The Milk River begins near Browning, Montana, at the confluence of the North and South Forks Milk River, on the Blackfeet Indian Reservation. It angles in a northeast direction and enters Canada fifty miles from its origin. Unique among most rivers, the Milk River returns to Montana 168 miles later. The river soon enters Fresno Reservoir near Havre, a popular recreational spot for locals. Below Fresno Dam, the Milk River continues flowing through the very open, desolate but yet beautiful Montana prairie. Access points are infrequent and widely scattered. After traveling more than 700 hundred miles from its origin, the Milk River finally empties into the Missouri River just downstream from Fort Peck Dam. Trout fishing on the Milk River is poor, at best. While some fishing for small brook and rainbow trout can be had on the river near its origin, the fish are small and access is extremely difficult. No trails follow the river, and the nearest access point to the upper portion of the Milk River is more than thirty miles downstream at a highway bridge crossing. The countryside is also incredibly bushy making off trail travel problematic. Some trout fishing can also be had directly below Fresno Dam. However, unlike the Marias River, which has very good brown trout fishing below Tiber Dam, the Milk River has only fair to poor trout fishing beneath Fresno Dam. While a few trout can be found, predominantly brown trout near the dam, the Milk River is by and large a warm water fishing river. For warm water fishing, smallmouth bass are abundant on the Milk River, and make for lots of fun when fly fishing using a crayfish. 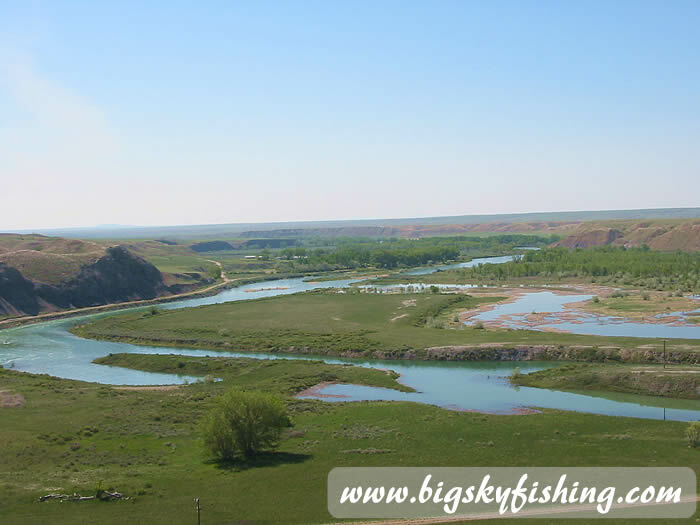 Catfish, sturgeon, whitefish and pike are also common in the Milk River. For floaters, the Milk River provides an absolutely wonderful way to achieve solitude. While floating can begin near its origin, as the river first flows through the Blackfeet Indian Reservation and then enters Canada (floating through to Canada is not allowed), the best place to begin floating is below Fresno Dam, near the town of Havre, as water flows are significantly higher. There are no rapids or whitewater on the Milk River, making it the perfect river for inflatable kayaks and canoes. While the river is fairly wide and can support large rafts, the frequent slow current and very windy conditions can make rafting difficult at times. Other than an occasional irrigation jetty, small diversion dam or downed tree that needs to be portaged, no obstacles exist on the Milk River to hamper floating below Fresno Dam (although some fences will be encountered). A floater down the Milk River will find plenty of solitude. Access points are widely scattered and its location in the Montana prairie means few towns, structures or people are around. Due to the remote nature of the float and the difficulty in finding the unmarked roads that cross the river, any floater should have - and will probably need - detailed Topographic Montana Road Atlas, which lists all roads in Montana, not just the major roads and highways. 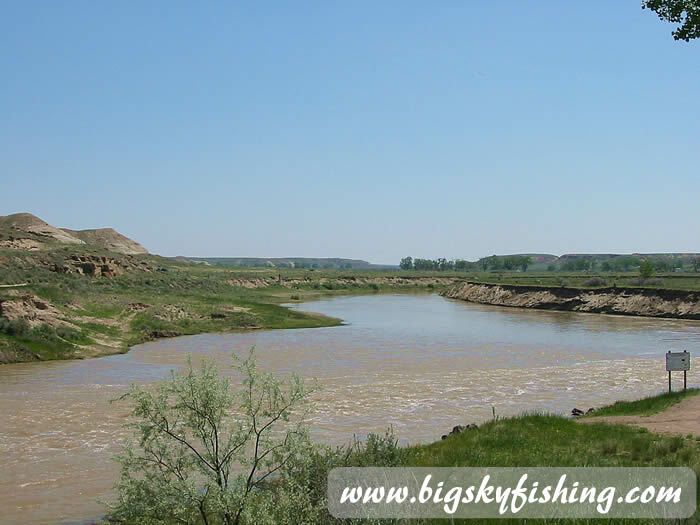 Listed below are selected river miles for the Milk River, from its source to its confluence with the Missouri River near Fort Peck Dam in Eastern Montana.